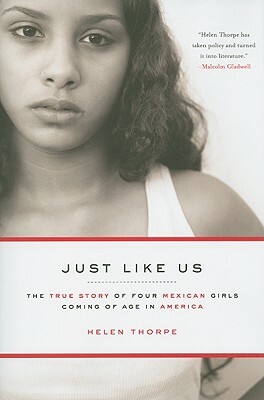 Just Like Ustakes readers on a compelling journey with four young Mexican-American women who have lived in the U.S. since childhood. Exploring not only the women’s personal life stories, this book also delves deep into an American subculture and the complex and controversial politics that surround the issue of immigration. Moving, timely, and passionately told, Just Like Us is a riv- eting story about girlhood, friendship, identity, and survival.